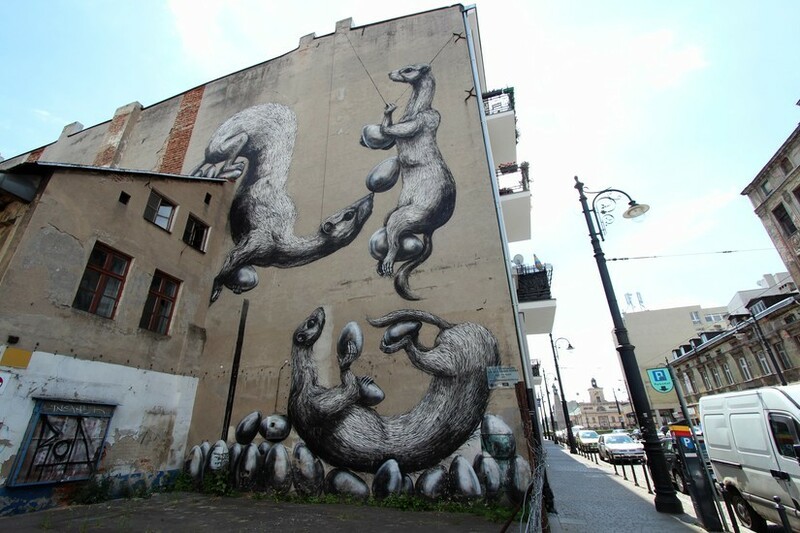 The growth of street art in Poland may not be that difficult to put in a historical context as the country has a great tradition of using urban wall space for all manner of creative ideas. The 1960’s - 70’s saw vast wall spaces used for the advertising of communist-era state-run companies and the current vogue for all things retro means that the surviving examples are now being re-assessed and revered as important graphic design visions of the time. 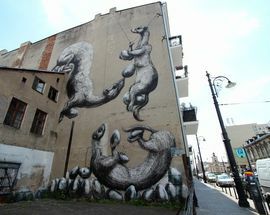 Plenty of wall art from this time can still be seen around Łódź, from the ghost-like faded text on the gable-end wall of a building at the end of ul. Traugutta to the relatively well preserved graphic painting of a giant butterfly advertising the state-run Pewex shops (where imported goods could be purchased with US dollars) at ul. Sienkiewicza 21. It’s well worth keeping an eye out for these fading remnants of the city’s not so distant past. 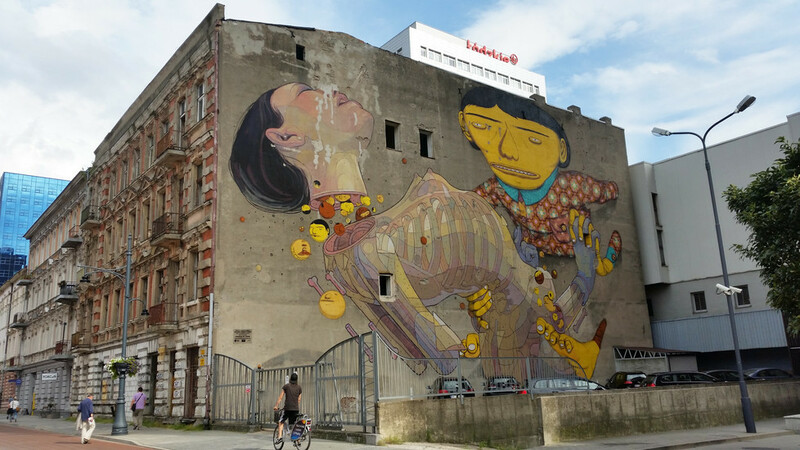 Over the last few years the somewhat gloomy streets of Łódź have come to life with the addition of numerous enormous and brightly-coloured murals. 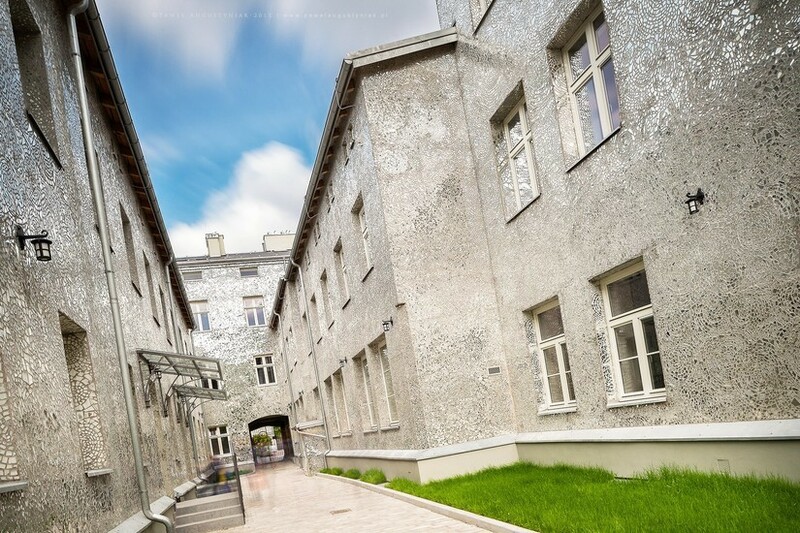 The project to turn Łódź into an open-air permanent art gallery was initiated by the Urban Forms Foundation back in 2009 and their aim is to improve the current image of Łódź through supporting and promoting independent artistic projects in the city’s public spaces. 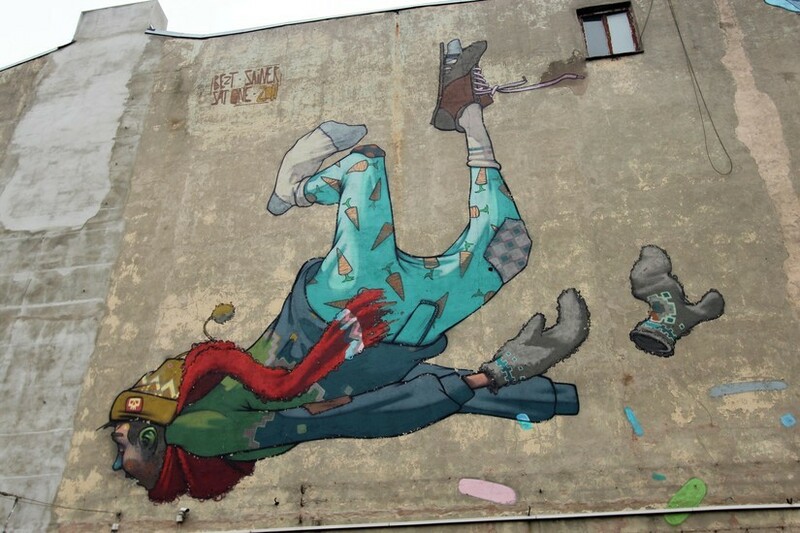 With the support of city council, the Foundation has so far overseen the completion of over 40 large scale murals by some of Poland’s classiest street artists, like local heroes the Etam Crew and the Gdynia-born painter M-City and Silesia's Raspazjan and Mona Tusz. 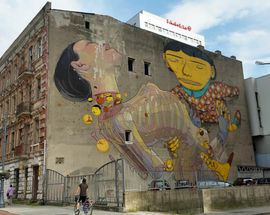 They have also invited some of the world’s leading street artists to leave their permanent mark on the city, so you can see work by Brazilian twins Os Gemeos, the Chinese artist DALeast and many other international stars of the scene. If you are keen to see all the murals the foundation has supported, a great way of doing this is to contact them via the Urban Forms website and ask about their private bus tours of the city’s fabulous mural art. 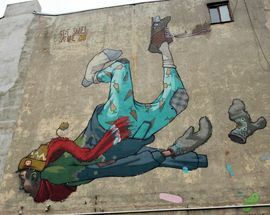 At any rate, those with an interest in street art will have little trouble tracking it down in Łódź, and we’re making it even easier. 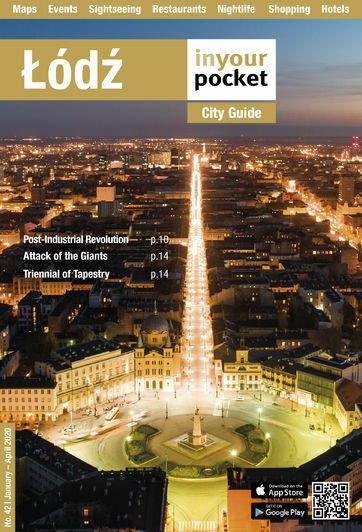 In addition to cataloguing and GPSing street art addresses throughout the city on our website, we’ve also marked each place with a spray can symbol on the maps in the back of our print guide, so you can literally use them to give yourself a tour of Łódź’s urban art. As for online, we've even listed old pieces of street art to keep you informed if they still exist or not, to save you time from visiting a site, only to discover that once fantastic mural has been painted over, or worse, the building it was on is gone (if you find that piece has been painted over since we've last been, please, do let us know)! Wandering around the city you are also bound to stumble across some rather fine and less ‘in your face’ little creative acts. We particularly like the painted and stencilled gas and electricity boxes which are dotted around town. 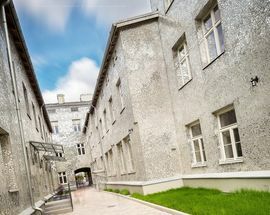 They are frequently changed and too many to mention, but keep your eyes peeled, you'll no doubt see plenty on your travels around Łódź.